Reposted from Randomwire , Chinese translation by Gengo . 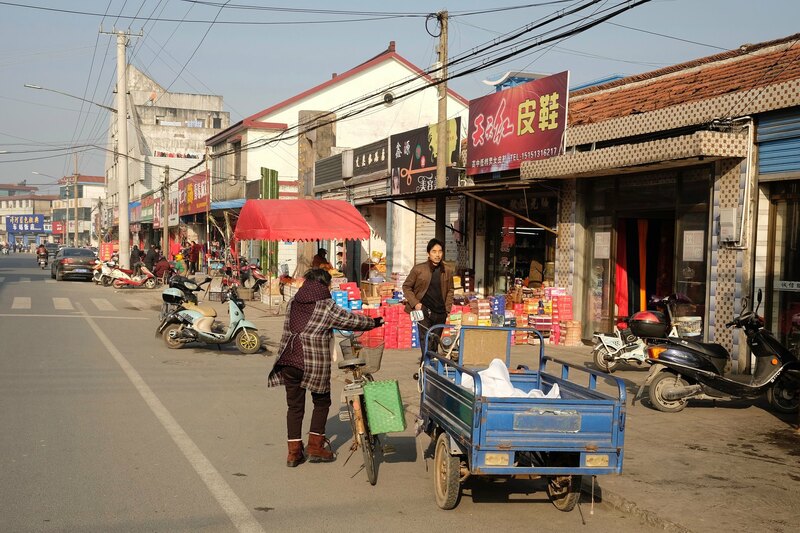 After Christmas last year, I spent a couple of days in the small town of Jiaoxie (角斜), close to Nantong (南通), three hours west of Shanghai. Nantong is an important river port located on the northern bank of the Yangtze River whose prosperity was catalyzed by a local industrialist, Zhang Jian (张謇), who founded Nantong’s first cotton mills in 1899. Nantong has remained an important center for the textile industry.